Whenever you have a universe as big as Warcraft, retcons and inconsistency are inevitable. There are so many things going on written by so many people in many places. To me, Icecrown as a zone and as a raid instance was the epitome of this unfinished, chaotic mess of storytelling. Lets start out with my initial expectations of what I thought I was going to see when I first arrived in Icecrown. 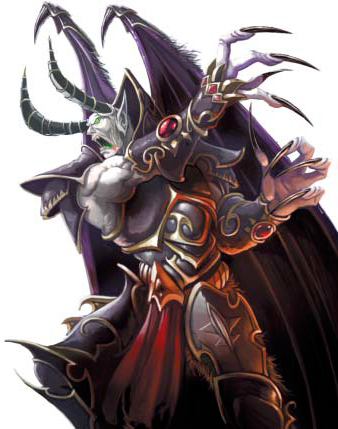 Back when Arthas was racing Illidan to the Frozen Throne (so that Arthas could “save” Ner’zhul and Illidan could kill him) during the last events of Warcraft III: The Frozen Throne, as well as the Arthas novel and other sources of lore, Illidan and his allies had arrived in Icecrown well before Arthas and were sieging the Citadel. They had built up considerable defenses, and Arthas arrived by exploring the underground tunnels of Azjol-Nerub. I expected similar geography as seen in Warcraft III: an exit from Azjol-Nerub, numerous blood elf ruins, maybe some remnants of the epic battle, perhaps some sort of landmark where Illidan or Kael’thas fell, as well as lots of undead blood elves and naga. Unless you paid close attention to quest text during your Icecrown escapades, you wouldn’t even know the rock you are going to is where Illidan fell to Arthas. Not to mention, the 4 pillars that constructed the magical barrier that kept Illidan out of Icecrown Citadel would have been a huge plus. Of course, none of that was present. In fact, the geography of the region prevents the positioning of the four pillar defense, and Azjol-Nerub is not even near Icecrown. To be fair, Azjol’Nerub has many underground tunnels and was planned to run throughout Crystalsong Forest before the lag problem with Dalaran was realized, and the Crusader’s Coliseum in northern Icecrown is built right on top of Anub’arak’s secondary base. Regardless, it had little presence within the actual game world. Instead, Icecrown features lots of open fields with your basic undead drones wandering around in varying amounts. It feels very unfinished. Arthas still maintains some humanity in the form of his heart and perhaps the form of Matthias Lehner, but Tirion destroyed the heart when the party started to go sour. As such, he “no longer knows pain… remorse… or humanity.” Indeed, it seems that he and Ner’zhul had become one entity. Mal’ganis is still alive, taking the form of Admiral Barean Westwind of the Scarlet Onslaught. The Scarlet Crusade’s fleet that originally went to fight Arthas and made it as far as the mouth of Icecrown’s glacier (see the plaques in the Scarlet Monastery) may have had quite the battle with Arthas. Onslaught Harbor was likely founded by these original scouts at least 2 years before WotLK events (probably closer to 5), as the Scarlet Onslaught did not land anywhere near this shore and the location is close to the one described in the Scarlet Monastery. Furthermore, the sword of Invar One-Arm (former Scarlet Crusade assassin), Serilas, is a drop from Freya in Ulduar. There are lots and lots of vrykul, specifically ymirjar, intensely loyal to Arthas trained and vetted to be the ultimate warriors. We find out that Uther, Terenas, and pretty much everyone Arthas has slain are trapped within Frostmourne. Sylvanas or Jaina leads a scouting mission throughout Icecrown Citadel to find Arthas and Frostmourne and gather data. When talking to Uther, we learn that there must always be an Overmind or the Zerg run rampant. I meant Lich King. And Scourge. There are no traces of a Scarlet Crusade attack on Icecrown Citadel. Vry’kul are very few, though its nice that they are there. No heroes really battle with us or take part in the Icecrown Citadel experience extensively. Tirion fights Arthas with us (approximately), Muradin/Saurfang drive the boat, Saurfang and Jaina cry about Dranosh. A few no-names walk with us into the Frostwing Halls. Frostmourne is cut in half and the spirits freed, but nothing is said about it or Ashbringer! Arthas is somewhat redeemed! He speaks to his father and has his last reflection of humanity, without any Ner’zhul influence. This is after he looses the helm of the damned, BUT STILL! It was such a big plotpoint to kill his heart in the first place. I wanted to see an epic battle with Arthas where Darion and the Knights of the Ebon Blade take up arms alongside Sylvanas and the Forsaken. The rogue undead forces against Arthas? Hell yes. Add in Garrosh and Varian trying to keep cool or losing it under Arthas’ influence? Yes please. Tirion raising up dead people? Absolutely. And it would have been a great hard mode mechanic as well, asking people not to help. Instead, the Arthas fight is only mildly epic. He spawns a couple minions once in a while, and you get sucked into Frostmourne if you are lucky. I guess the Pain & Suffering laser thing is cool, but lasers were so TBC. Long story short, Icecrown and Icecrown Citadel feel empty. There are tons of loose ends and discarded storylines that got scrapped, and the encounters are not fantastically interesting. Its leaps and bounds above ToC, but I think most raiders agree Ulduar was the best raid zone of the expansion. I agree with you entirely, Heart. But my favorite thing, perhaps in the entire game now, is the descent into the underneath of the citadel pit of facelees ones. This feels like the sneaky way Arthas and Anub’Arak came into Icecrown. Another point of hilarity I’ve always had with Icecrown is the Citadels’ defences relying heavilly on walls. Gate this, wall the other. It’s like no one told Arthas that players had flying mounts. Heart, you’ve got a great point. I have yet to see past Festergut in ICC, but I totally agree that there are things missing. When ICC came out, I had wanted something more, a coalition of forces like Illidan and Kael’thas had – all the forces combined of the living. Guardians of Cenarius, Knights of the Ebon Blade, Argent Crusade, Alliance, Horde, etc. Instead we do all the dirty work, and then Tirion helps after we’re already dead (not really, but still). i agree with everyone on this. right now my guild is stuck on Arthas on 25. so ive seen the whole thing. not much there lore wise, yeah i wanted more,more,more,more! kind of a let down. It’s been like 6 years since Illidan and Arthas fought each other in Icecrown. I imagined that so many undead minions can also clean up so everything looks like Mordor, but with ice. Apart from that, yeah, you are completely right. I was less than happy to see the ending and not seeing Sylvanas or Jaina in the very scene. I know it is a lot of effort to create different endings (which, by the way, would have been sooo cool! ), but such a storyline really deserved better.